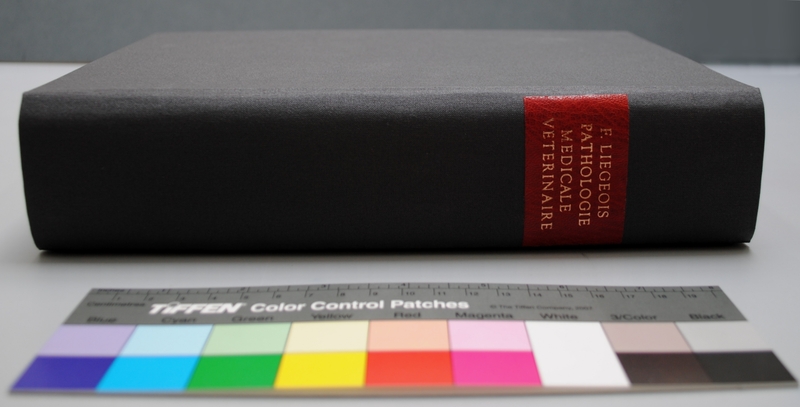 Traité de Pathologie Médicale des Animaux Domestiques is a 1955 book written by F. Liégeois. 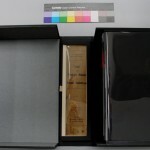 The book belongs to a private owner in Belgium. 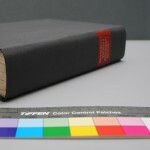 The book is a paper-covered machine-sewed binding. The spine had lost its shape, and the sewing was weak in several places. 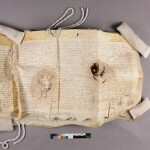 The green paper cover was brittle; folded; cracked and torn. After discussion with the client, it appeared that the book was intended to be used on a day to day basis. 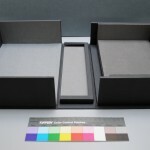 The decision was therefore taken to create a new case to provide more strength and support to the textblock. 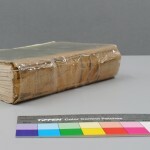 The paper cover was lifted from the spine and the paper was washed to reduce discolouration. 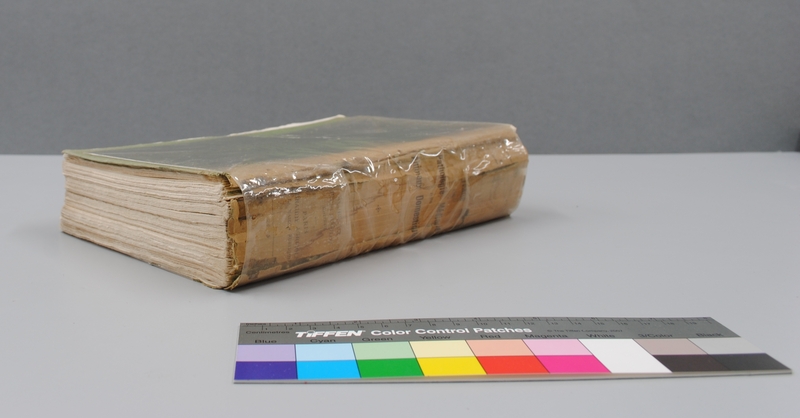 The textblock spine was cleaned with methylcellulose poultice before reshaping, and new linings were applied. 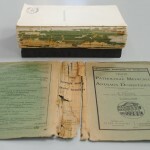 Part of the textblock was detached and the damaged pages (stained, cockled and stuck together) were washed. 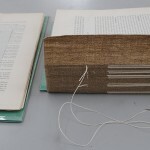 The loose machine-made sewing structure was consolidated with linen thread, and the detached pages were re-inserted with the consolidated front and back covers of original paper cover (as flyleaves). 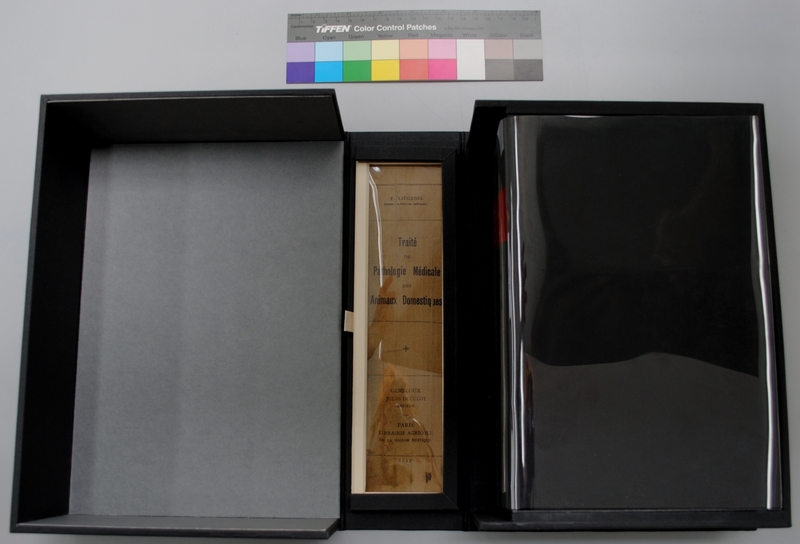 A new case binding was then created and a foil-blocked leather label was adhered to the new spine. The original spine piece was separately treated and mounted. 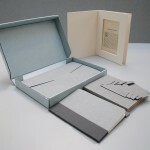 An adapted clamshell box was finally designed to provide safe storage for the book and with an original spine-piece window-mount. 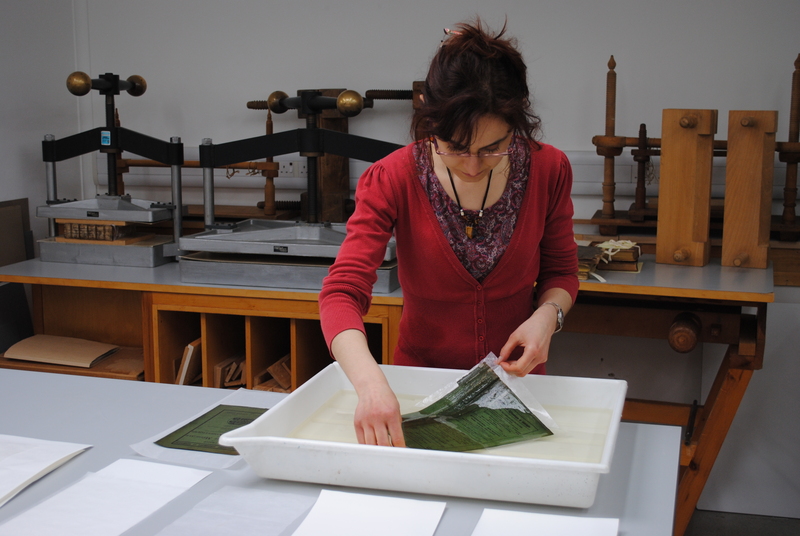 This project was highly rewarding, as it allowed me to gain a better understanding of independent conservator work processes. 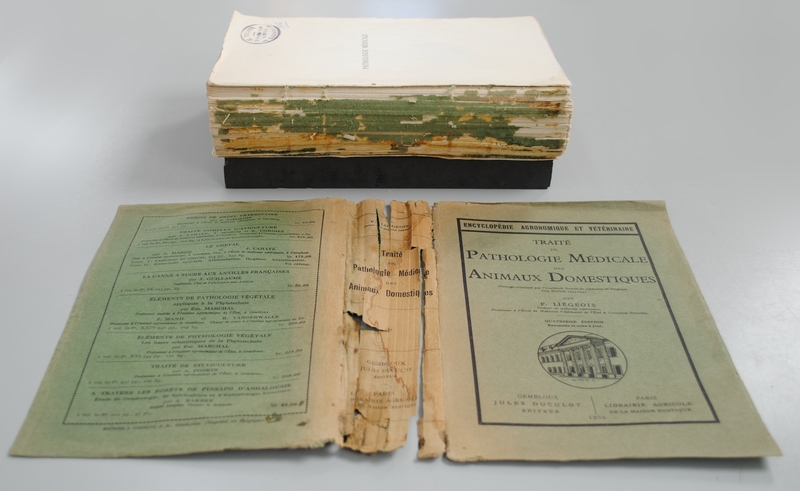 “Traité de Pathologie Vétérinaire” – Before treatment. 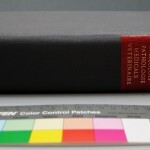 “Traité de Pathologie Vétérinaire” – After treatment. 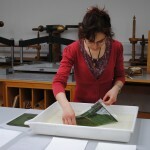 Washing of the paper cover. Consolidation of the loose machine-made sewing structure. 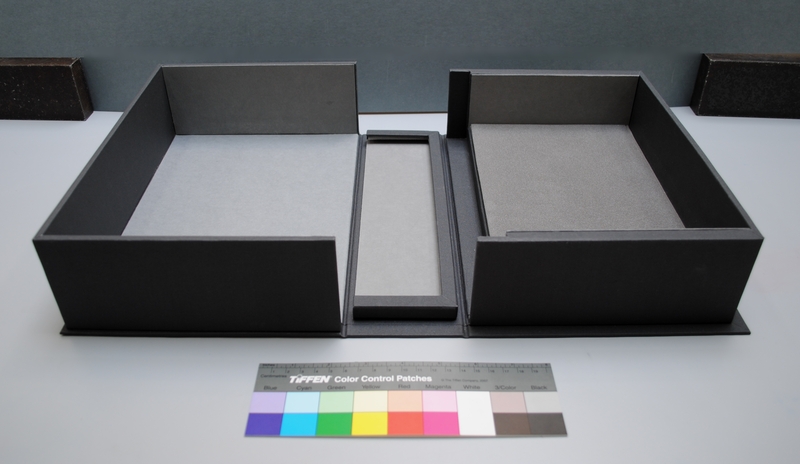 Book and original mounted spine in enclosure.